The Square Building Trust, established in 1929 in response to poor housing conditions in the town, recently celebrated its 90th anniversary. 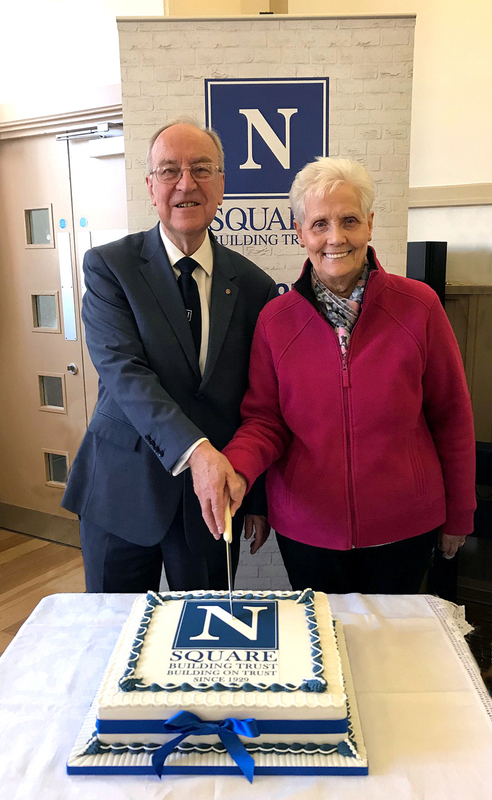 The trust marked this significant milestone with a special service at St Columba’s UR Church in Northumberland Square on Sunday 24 March led by the Revd. Trevor Jamison. The trust was started by the men and women of the Northumberland Square Presbyterian Church bible classes after hearing a talk about the terrible housing conditions in the town. 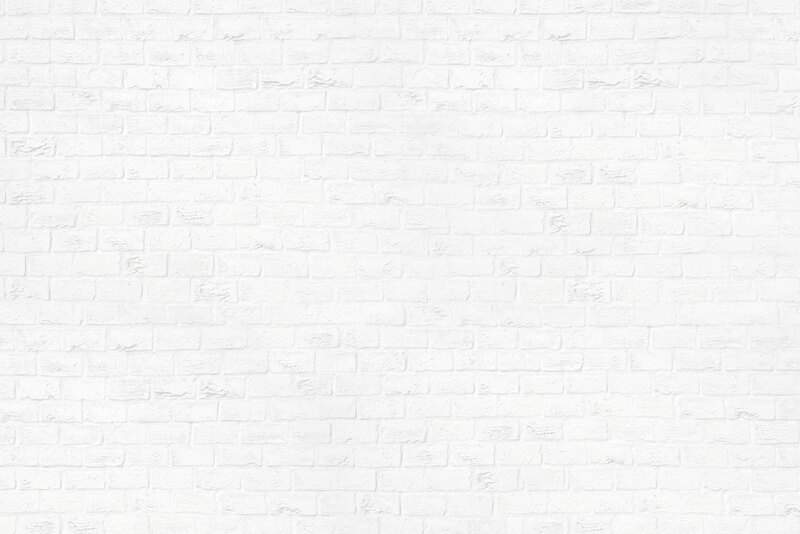 Under the direction of North Shields businessman and bible class leader, Rowland Lishman, they decided to have a fundraising campaign selling ‘shilling bricks’ and remarkably reached their target in only one week. Six months later the first new family houses were built off Hawkey’s Lane and this was followed a few years later in 1936 by 48 flats and a nursery on Howdon Road. The Trust has continued over the years to build several housing projects, including specialist accommodation for adults with special needs and for people with disabilities. All of the properties are now managed by Bernicia which became the Trust’s managing agent in 2014. Trust chair, Bill Southern, said: “It is remarkable what those men and women were able to raise during a time of extreme economic hardship and indeed many of them were themselves unemployed. Members of the Trust Committee, staff from Bernicia and descendants of Rowland Lishman attended the service with the congregation of the church. 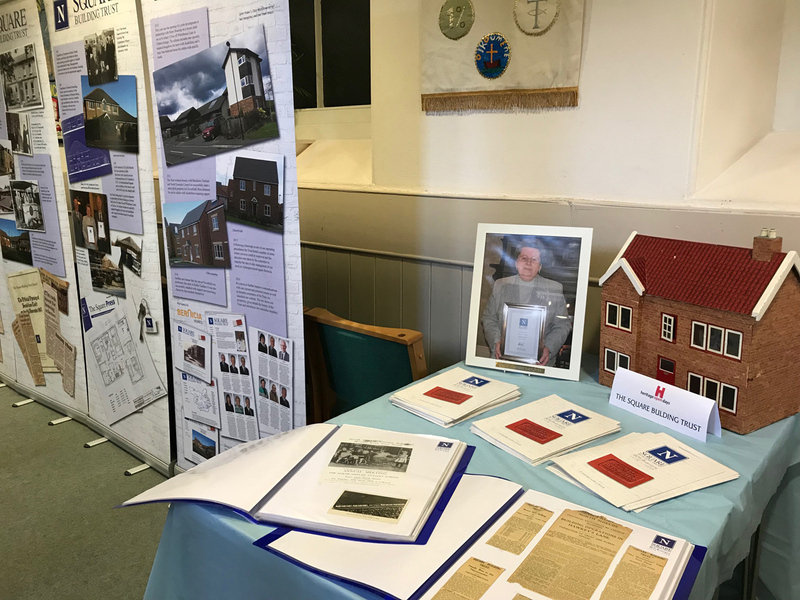 The Trust was invited to put on a display at St Columba’s Church for the annual Heritage Open Day which took place over the weekend of 8th/9th September. 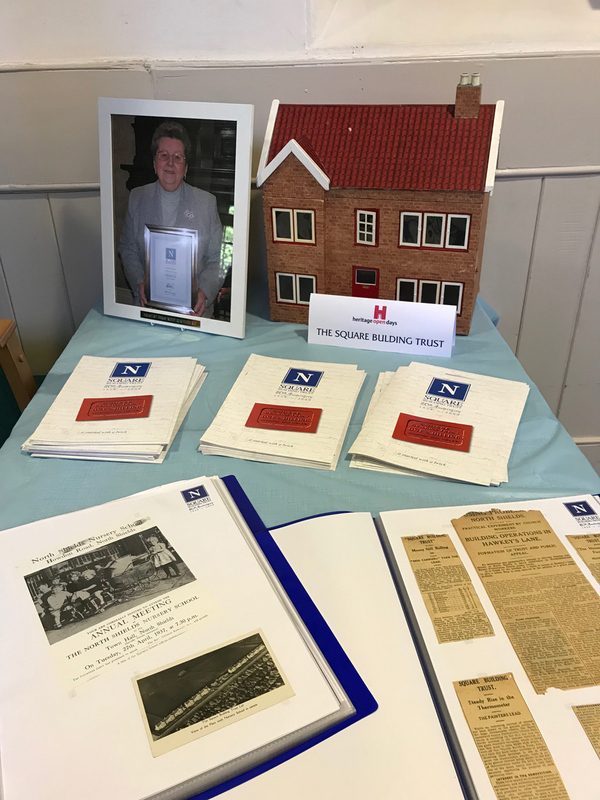 As well as the usual display stand, there were also archive documents and press cuttings from the last 80+ years since the trust began in 1929. Also on the display was a photo of the Trust’s first Honorary President, the late Margaret Grey. After the open day this photo will be hung permanently in the Lishman Room at the church where the Trust meets every quarter. The 48 one and two bedroomed flats on Howdon Road in North Shields were some of the very first built by the Square Building Trust, being completed in 1936. Although the Trust has had a long-standing scheduled annual maintenance programme in place for these popular properties, in 2016 it was recognised that a significant investment was needed to address some of the exterior and landscaping issues which had arisen over time. 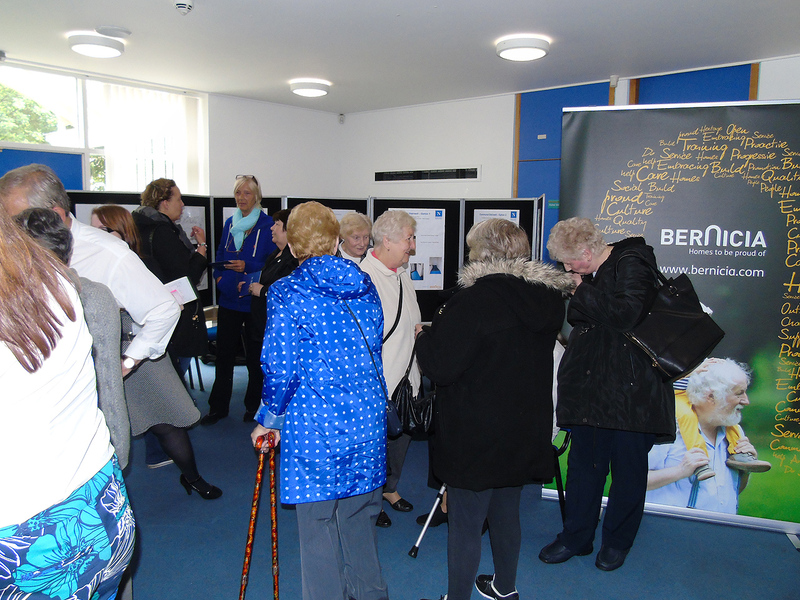 In partnership with our managing agents, Bernicia, we undertook a tenant consultation process including an open day in July 2016 to collect views and ideas from residents on the various options as well as providing feedback forms to all residents with a specially produced newsletter to update on the programme. 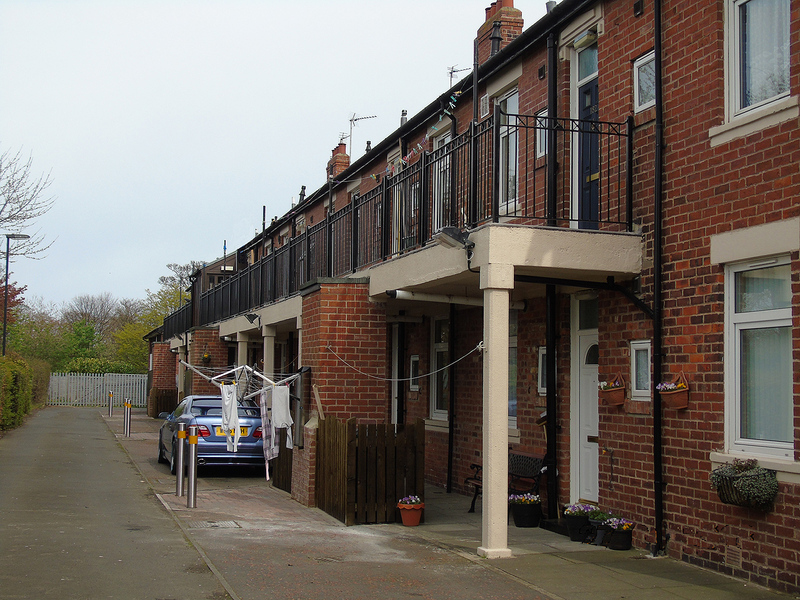 A proposed budget of just over £200,000 was identified and this enabled us to replace all of the upper storey railings, refurbish the underside of the balconies and other external decoration and also significantly improve the door entry and stair areas in each of the blocks. It also allowed us to improve the flat’s external environment particularly at the back of the properties such as putting in bin store screening, tidying up the gravelled areas and amending some of the planting alongside the adjoining land. Bill Southern, Chairman of Square Building Trust, said of the improvements: “We pride ourselves on being a listening and responsive landlord, providing good quality homes which people want to live in. 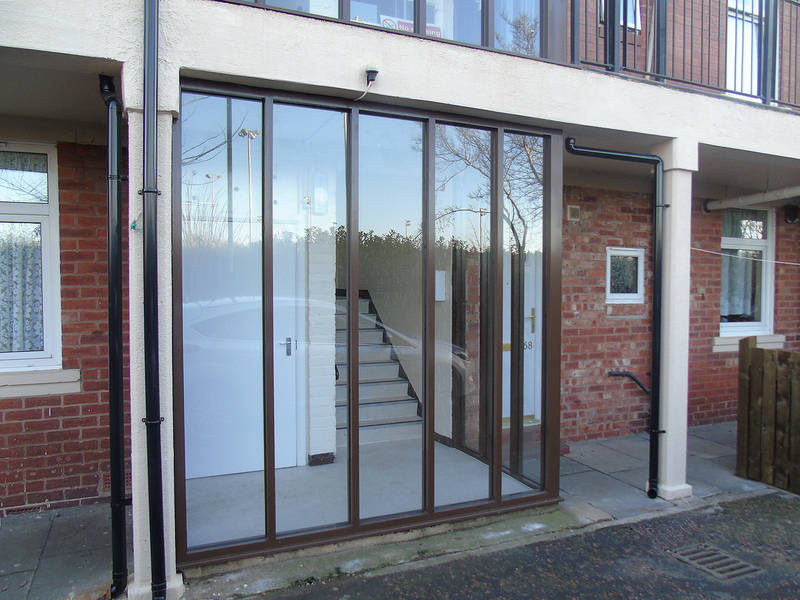 I believe these works at Howdon Road have been very much welcomed by our tenants and make the flats an attractive option for those seeking this kind of property. 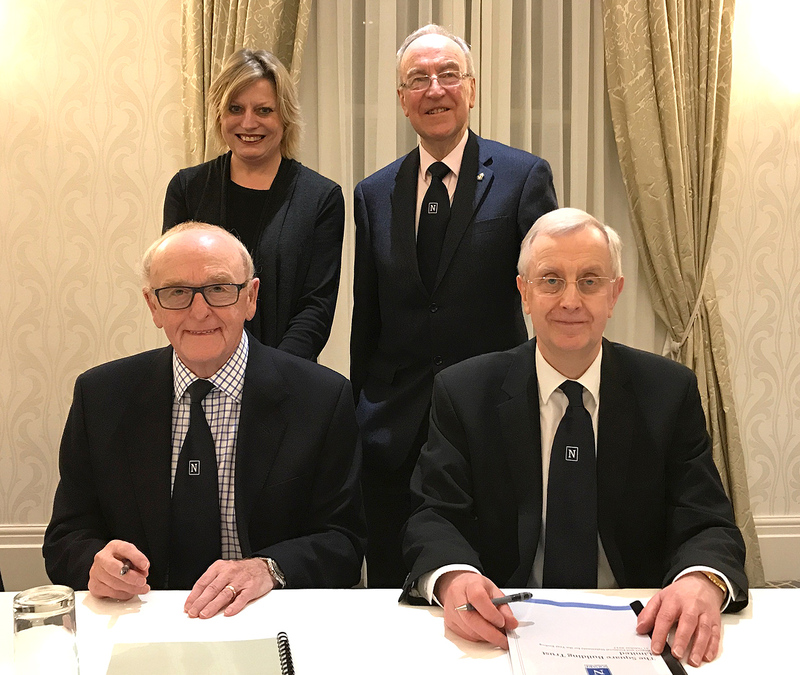 The Square Building Trust board celebrated another successful year at its 89th Annual General Meeting on 30th January. Although our development ambitions are challenged by a number of factors, we have achieved a number of improvement and maintenance goals for the year. Our continued investment in our major scheme at Howdon Road and improvement plans for other properties such as Wheldon House are progressing and we aim to ensure we are providing excellent quality homes for our existing and future tenants. Our relationship with our managing agents Berncia continues to develop well and we have received first class support and advice from officers on a range of issues. The board heard that our financial position was very healthy and we continue to look at opportunities to invest wherever possible. The board also heard an interesting and informative presentation from Monica Burns, External Affairs Manager from the National Housing Federation. Monica outlined recent national initiatives and the challenges and opportunities for smaller housing trusts and praised the board for its good governance procedures and plans for supporting and developing the board’s roles and responsibilities. The Chairman, Bill Southern, took the opportunity to highlight the recent sad passing of the Trust’s first Honorary President, Margaret Grey, who had served for over 66 years as a member of the committee. Her commitment and insight was particularly recognised. 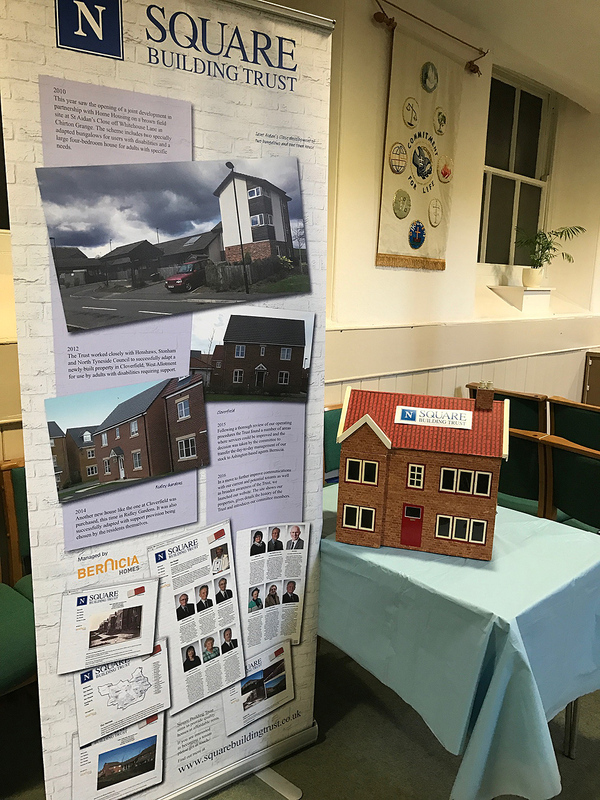 The Square Building Trust exhibition was on display as part of the Open Heritage events taking place all over the region on the weekend of 9th/10th September. The display was seen by visitors and congregation members of St Columba's Church which was open to the public on Saturday. As well as information about the Trust and its work, the Church also displayed photographs of the Men's Bible Class, which under the leadership of Rowland Lishman began the work of the Trust during the depression in the 1920s. Members of the Committee and representatives of our managing agent, Bernicia, attended the 88th AGM of the Trust. A review of the Trust’s year including achievements and developments was presented at the meeting as well as the year’s accounts. We have had another successful year and continued to maintain our homes to high standards and achieved high satisfaction rates from our tenants. We have also strengthened our governance and business planning with the acceptance of updated Rules and Standing Orders and the development of a five year business plan. We continue to be in a strong financial position and have invested significantly in a number of our properties over the last year, particularly the supported living units and at Howdon Road. 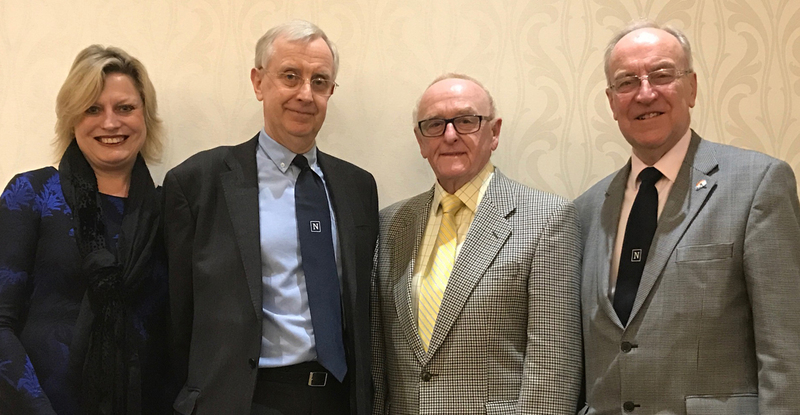 Our Chairman, Bill Southern, praised the support and advice of the staff team at Bernicia and their on-going help in developing the skills of the Committee. We look forward to the coming year and renewed our commitment to develop opportunities to meet the housing needs of local residents where it is most needed.